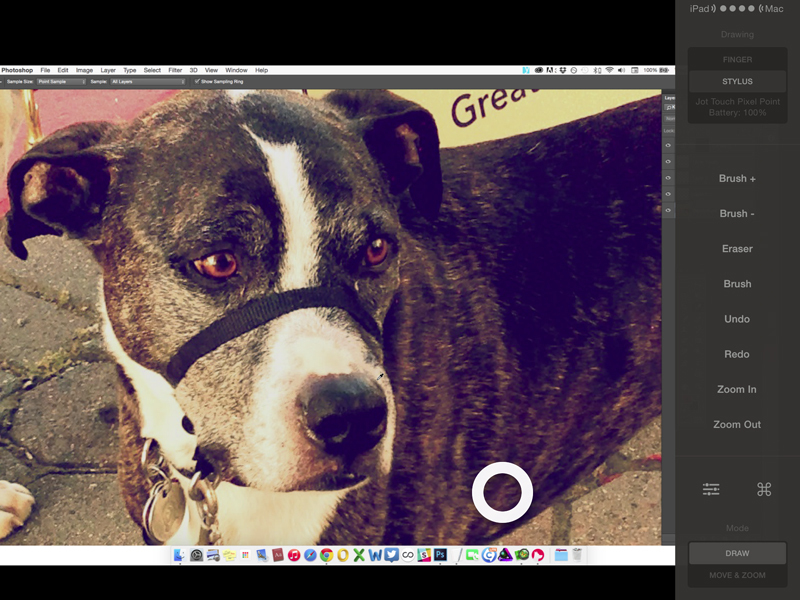 Did you ever wish you could sync up your iPad’s drawing or painting app directly with your Mac? 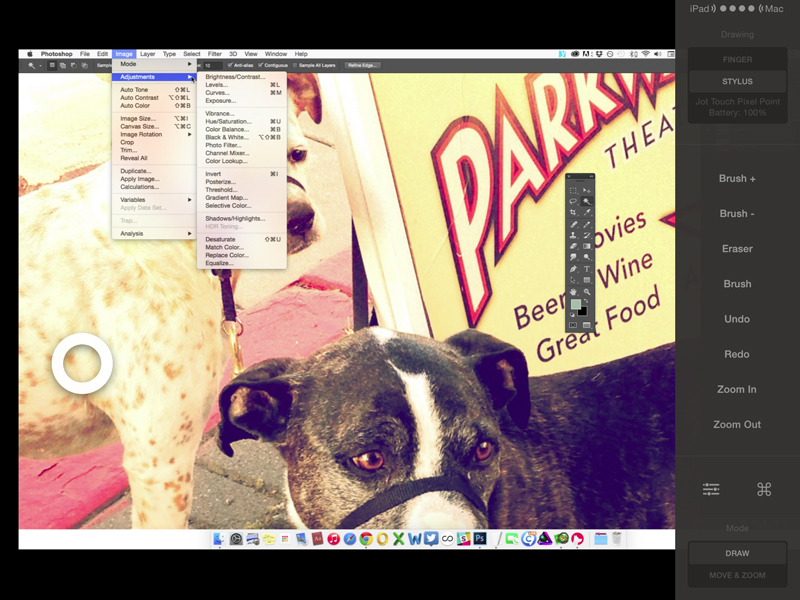 Now you can with Astropad, a brand new app that literally mirrors your Mac desktop via Wi-Fi or USB. 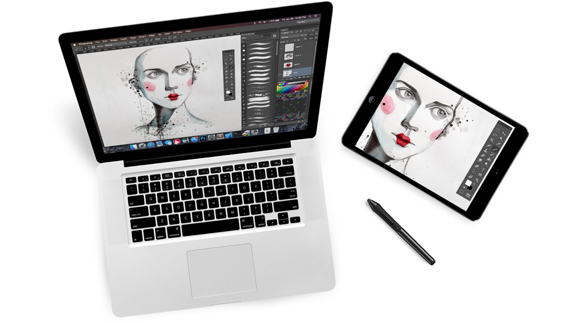 Created by two ex-Apple engineers — Matt Ronge and Giovanni Donelli — Astropad works with several popular brands of pressure-sensitive pens to create a pro-level drawing tablet that pairs with your Mac for illustration, sketching, painting and photo editing. To use Astropad, you need the two apps running at the same time: one for the iPad running iOS 8 and the other for the Mac running Mavericks or later. “It’s a much more productive and efficient way to work,” Matt Ronge told TNW. “The problem with sharing files between iPad and Mac is that it’s a hassle. You can AirDrop or sync via the cloud, but that’s time consuming. Not to mention that it’s sometimes not even possible to go from Photoshop back to the iPad because of changes done in Photoshop. 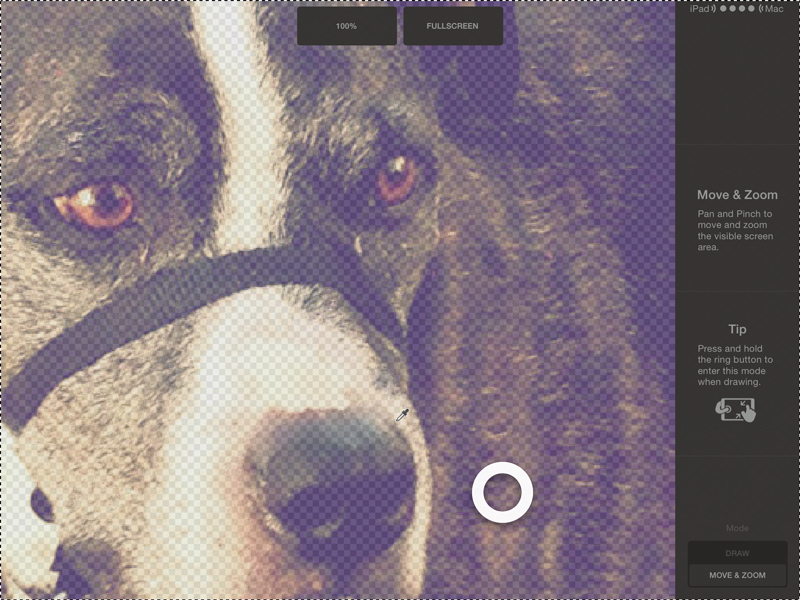 “Astropad makes working with both devices much much easier,” Ronge said. I found performance instantaneous with no lag time whatsoever. The instant both apps are launched, they function as a unified workspace. Everything you do on an image in one space is reflected in the other with no drivers or any other connection software. If the apps run on your computer and tablet, they automatically connect. The iPad app supports familiar hand gestures — pinch and zoom — and there are plenty of shortcuts available, if that’s your fancy. The app’s automatic palm rejection appears to be rock solid. The Ring button, which is always visible, lets you toggle the visibility of the app’s native controls. The underlying technology that makes it work is called Liquid, which provides color-corrected output and retina resolution so that what you see on your iPad is the same as on your Mac. 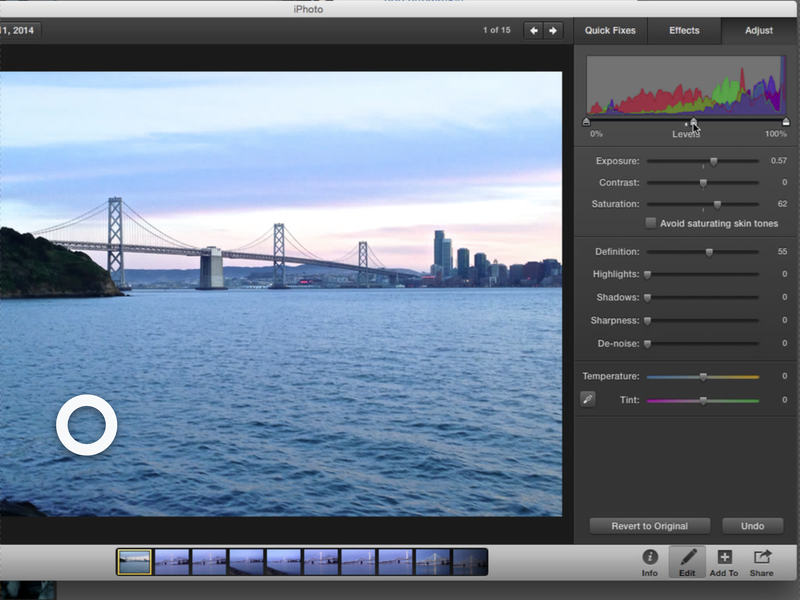 The GPU accelerated app operates at a smooth 60fps, using ARM assembly code to maximize iPad battery life, and automatically color corrects to match your Mac. Astropad dynamically mirrors exactly what is on your iPad or Mac. So if you’re working in Photoshop for example, you can choose the paintbrush shape and size you want to use on your computer, and then use your finger or pen on the iPad to brush strokes into your image. As you do that, the results show up in real time on your monitor. 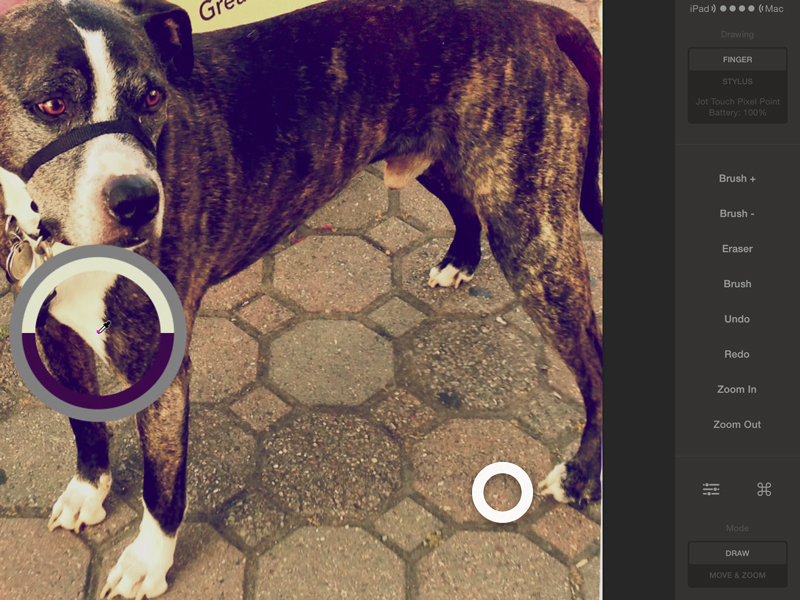 Use Photoshop or any other app directly on the tablet. Alternately, you can pull out the Photoshop toolbar and use it with your stylus on the iPad for all your editing work without having to switch back and forth. 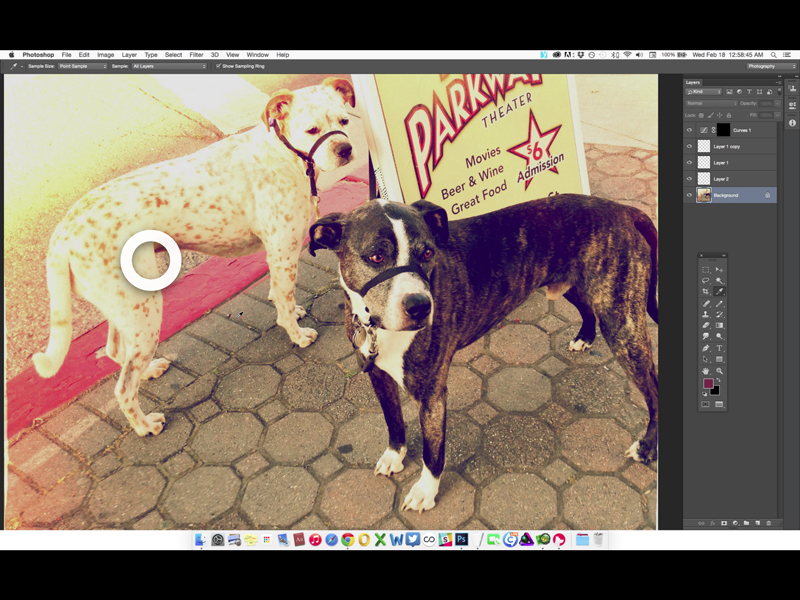 Painting tools like Photoshop, Illustrator, masking in Lightroom, Acorn, Affinity Design, iDraw or Pixelmator are ideal environments for Astropad. Any app where there’s heavy window management isn’t the ideal task for Astropad , though you can use your Mac for window management and then switch to the iPad for tasks like photo retouching. 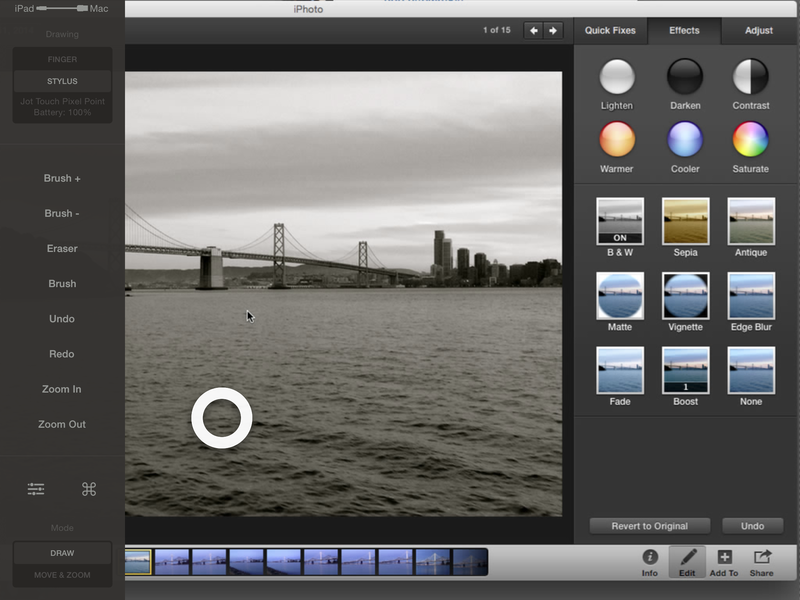 You can use Astropad with iPhoto too, for example. Astropad works the same way with every app because the utility is not app-based. Nonetheless, a set of controls that you can use on the tablet lets you make adjustments to the tool. One thing I found a little disconcerting was the one-to-one mirroring functionality. If I switched to my email app for a minute, that’s what appeared on the iPad. Right now there’s no way to keep the iPad content consistent with the app rather than what’s specifically on the screen, though Ronge acknowledged that is something they’d like to do for the future. Astropad for the Mac is available for $49.99 ($19.99 for academic users) on the company Website, while the iPad app is free in the App Store. A seven-day free trial is also available.